In today’s digital world, “breaking through the noise” is a challenge, but Celerant’s new eBook discusses how leveraging your CRM and sales data helps create segmented email lists and personalized campaigns that will drive more traffic and sales to retailers’ websites. Then by automating continuous workflows based on triggers, retailers can continue to promote their site more than ever before. 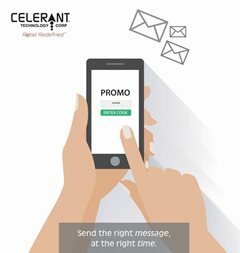 Celerant’s new eBook discusses 3 vital steps for every effective marketing automation campaign. Think of email lists as your target audience or the people you are trying to persuade. Email lists are the gateways to reaching thousands of people with the click of a button. Lists are created in several different ways; retailers can collect customer information when they sign up for a newsletter, request a demo, or purchase products however segmenting these emails can be tedious and time consuming. How you want to create emails lists is really up to you, but one thing every retailer needs is to reach their target audience and this eBook will show you how email lists do that. Personalized emails deliver 6 times higher transaction rates compared to blind emails. Why? Because personalized emails establish real connections with customers rather than having generic, mass messages which customers can spot from a mile away. 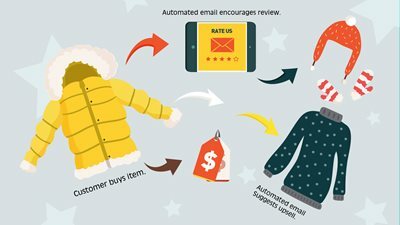 Personalized emails are created based on demographics, past purchases, and personal shopping preferences. Meaning marketers are tailoring their emails specifically to customers and their buying habits. This eBook will help you create personalized campaigns and help you identify what is working vs not, and how to make improvements. Email marketing is by far the most cost-effective way to promote your website. Learn how to significantly increase the success of your email marketing through all of these best practices and more.